With 500 million daily users and 800 million monthly users, it's no wonder that businesses take Instagram seriously. Instagram combines the advertising power of Facebook, which acquired Instagram in 2012, and a hyper-engaged user base. From its simple origins of sharing photos, Instagram has grown into a huge platform for visual communications. 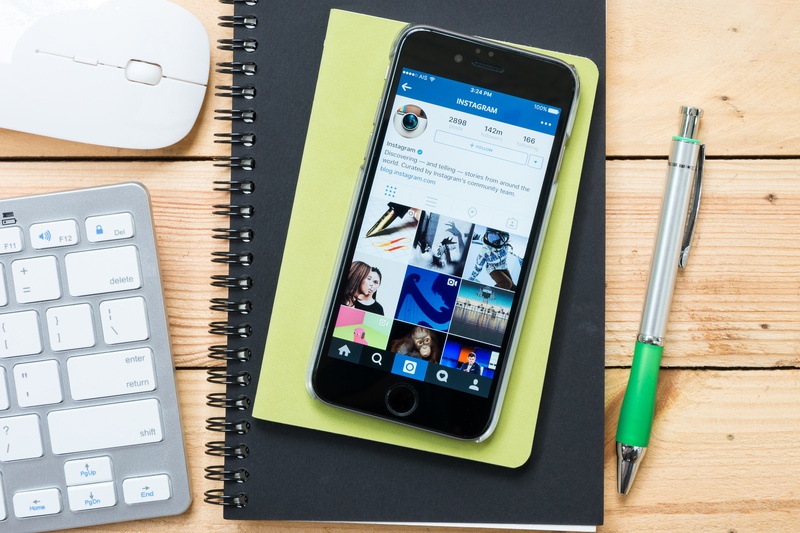 In the past year Instagram has added more and more features for businesses, while striving to maintain the sanctity of their simple platform. If you know the tools, and have strong visual content, there’s a lot you can do. Are people buying on Instagram? Instagram recently announced that they are adding a shopping area to the app, and they also have a standalone shopping app in development. These initiatives are capitalizing on a trend of people shopping on the app. According to Instagram’s internal numbers, 80% of users follow a company. At least 30% of Instagram users have purchased a product that they first saw on Instagram. That’s a lot of potential buyers. In a series of tools for businesses to advertise on the platform, Instagram has added call to action buttons and the ability to add products to certain posts. Previously, Instagram was a one-link-only platform: you could put one link in your bio, and nowhere else. Now you can put tags in your photos which include price, description, and a link when revealed. You can even add one “product sticker” to your Instagram Stories. For these direct shopping features, you need to be approved for selling on Instagram, link with a Facebook business page, and have a Facebook catalogue. This is part of Facebook’s development as a digital commerce mecca. It’s likely that Instagram will continue to slowly lift limitations on product links like stickers and tags as they further develop Instagram Shopping. If you are not selling directly on Instagram, it’s still an excellent place for generating leads. If people engage with your Instagram posts, you can remarket to them elsewhere, and draw them to your website or location. The call-to-action buttons open seamlessly to your website, so they can get to your products with only a click. As a property of Facebook, Instagram has features you’ve come to expect from one of the largest online advertisers. The targeting is as advanced as Facebook, with the ability to deliver your ads by location, behavior, age, interests, or similar users. You can also expect strong analytics, including cost per result. Instagram also has free e-classes for businesses, and a business blog with updates and advice. If you’re not an Instagram native, these resources will help you learn the ins and out of the platform. When you make a business account you get a call to action button on your profile. Since Instagram is so sparse with links, this is actually a big deal. When you just have one link for all your Instagram content, you have to get creative. Many artists on Instagram keep their bio link updated with their newest content; you’ll see many post descriptions that include the phrase “link in bio”. The CTA button lets you maintain a link to your site or contact while featuring other content in your bio. It may be obvious, but it’s worth saying: Instagram is a visual platform. If your visual content isn’t compelling, your efforts might be better spent on other social platforms. At the same time, images and video are the best performing content, and every kind of business can create successful visual content campaigns. On Instagram, the text is always secondary to the photo, video, or carousel post. If the text is crucial, make it part of the visual. Look at how similar businesses operate on Instagram, and what the most popular businesses are doing. While most of the top business accounts are in the fashion industry, like Nike, Adidas, and Michael Kors, other businesses can find success with a little creativity, such as FedEx or WeWork. If your product or service is visual, that’s a great place to start. Also find ways to tell compelling stories, which are more memorable and impactful than just a product. Instagram makes it easy to create quality photos and videos with your phone, as most are equipped with powerful cameras. Video content should hook the viewer as soon as possible, and keep the most important content in the first 30 seconds. After 30 seconds, viewership tends to drop off. Short is strong. Also make sure to add captions, since 85% of Facebook videos are watched with the sound off, and silencing is similarly popular on Instagram. Instagram stories are also key. Stories are ephemeral content, meaning they disappear after 24 hours. Ephemeral content tends to have higher engagement since people don’t want to miss out. Now, you can keep stories around if you make them Highlights, which are featured on your page just under your bio. This can be another way to feature additional content to get around the one-link policy. You can use stickers in Stories, which besides being decorative, have interactive abilities. Stickers include easy to use polls, and product tags as mentioned above. Everyone loves to press buttons on his or her screen, so these game-like elements are very compelling. Learn how to use all the different Instagram features on the Instagram Business blog or help pages.